Sorry to say but I find Asrar Ahmad twisted and confused and he keeps changing his standing on different topics. He lacks the understanding of evolution and tries to manipulate everything to validate his self assumed sense of evolution. nice approach and lecture style is also very convincing. and esspecially the discussion about soule(rouh). thaxs a lot for all this. Thanks for sharing. I haven't seen the video yet but I have found your approach very prejudiced, typical anti-mullah. At least watch these with learning point of view instead of showing same austerity which is usually labelled on the religious personnels. I am going to start video with a bad taste now. 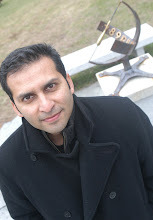 i am sorry i thought this blog page is really a place serious discussion about the subject of science=quran, or science vs quran.but no reply to my all three e.mails by mr.salman hameed is not understandable ?although the subject of all e.mails is physics/astronomy/math and interpretation in terms of quran. if this blog page is maintained just to disagree with any or all interpretations provided by religion esp.islam to question mostly unanswered by science even today ,then whats the fun in supporting only science which is deficient ? please reply mr.salman hameed,i am looking forward eagerly to your replies . "The struggle for existence, and the survival of the fittest, and natural selection – this is wrong. At every change of species, we need another “kun” from God." I cant belive this... most of what he says is plausible sounding metaphysical statements having no grounds in reality. Its Dr. Israr Ahmed's interpretation of the Quran. not binding on anyone to cling on. Evolution was not the topic of this video it should not be expected that Dr Israr could fully explain his THEORY. If given chance, he might have been able to clear any 'contradictions'. 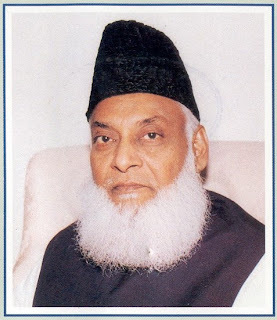 I have heard Dr Israr ahmed's tafseer of Quran in Urdu and he keeps telling us about verses of Qur'an which can be taken to accept Evolution, if Evolution can get proven through scientific studies. Till date we do not have any intermediate between humans and apes. I'll just be specific. Everything is moulded and constructed by Allah. The Quran blatantly states the human structure and reasserts it in various places. The evidence of spirit blown into a monkey as claimed by Dr. Israr Ahmed is found nowhere in Islamic hadith or Quran. Hence, verifying the fact with obtuse and fatuous notions divulged with self-contradicting statements forms no valid grounds in Islam. The beauty of what Islam stands by is clarity. Our Quran is clear on what's forbidden and what's permitted. The Hadith concedes certain matters to be allowed but negates many ideologies slash practices which are debated on in today's era. It's simple. Photography is not allowed. Music is haram. Purdah is Fard. And no, evolution, as derived from current findings of fossil fuels and batteries hidden deep under ground for centuries depict equally intellectual forms existing way back. If evolution existed and we all adapted according to the surrounding, then I am sure a lot of Dr. Israr Ahmad's followers can explain Julia Pastrana. Or perhaps, not? Which is exactly what Islam stands by- leave the doubtful and adopt the evident and transgress not Allah's limits.